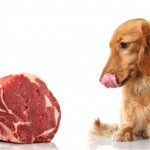 The raw food diet for dogs is becoming quite a controversial issue among pet owners. This article is to shed some light on the pros, cons and key information everyone should know about the raw food diet, in hope it will allow you to make an informed decision on if the raw diet is suitable for your pooch. It is incredibly important to create a diet for your dog which can suit all of their needs. With a growing number of allergies and health issues in purebred dogs, their diet is essential to their growth and health throughout their lives. One major health issue which has been on the rise in the past ten years is grain allergies. A dog’s digestive system finds it difficult to digest most grains, which is why some veterinarians prefer the raw diet over processed dry commercial pet foods, as the carbohydrate content it much larger in processed dry kibble and in some wet foods. Before deciding on a new diet for your dog you should take into consideration the nutritional value of your current food and whether or not it is meeting the standards you want, the nutrition your dog needs and whether or not you can improve on this. 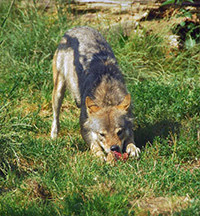 First things first, the raw dog diet is what it says on the tin, raw meat, bones, fruit and vegetables, along with eggs and herbs. It is meant to mimic the diet of dogs before they were domesticated. While this is all well and good, we do have to take into consideration that it has been a very long time since the domestication of dogs, in which time they have changed quite a lot. 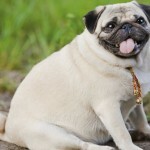 Saying this, one diet may be perfect for a certain dog and yet not ideal for another. It is very important you research what breed of dog you have, what health issues they are prone to (if any), how you can tackle these problems with diet, and the history of the dog (this may include researching the male and female parent dogs if that information is available to you). So let’s get down to the nitty gritty. Although some of the cons sound scary, let me tell you some more information about them. Most dogs can handle the digestion of bacteria such as E.coli and Salmonella, which are the main bacteria found in raw meat. As long as you are hygienic and careful when handling raw meat then you should also be fine. A study showed higher amounts of bacteria in raw food diets, however they also showed that some dry foods contained the bacteria as well, showing that bacteria contamination of pet food is universal. These bacteria can come out in feces, which then cause problems for humans as stated above, but as long as you are as clean as you can be the risk of contracting the bacteria yourself reduces drastically. This is where training your dog to defecate in one certain area comes in very handy. Eliminating choking risks is also fairly easy and just involves buying a grinding machine. Which of course adds to the price of feeding a raw diet. You may hear on the grapevine that the raw diet can cause Gastrointestinal (GI) problems. Fortunately this can be avoided. Most GI problems can be avoided very easily. Dogs digest kibble differently to raw food. Kibble is a starch, ready to go energy, whereas raw food is digested as protein. The GI system approaches this differently, protein needs to stay in the stomach for longer than starch. 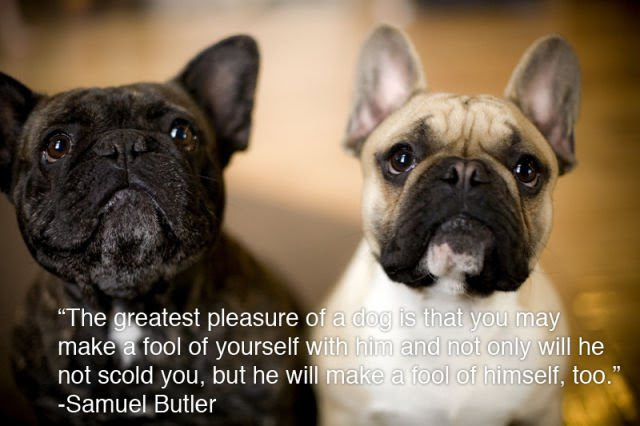 Hence why dogs stay fuller for longer on the raw food diet. When a dog’s diet is changed quickly, or when raw food is mixed with dry food, this can confuse and upset their stomachs and cause vomiting and diarrhea, if the process is taken slowly the dog’s digestive system has time get used to it. This is generally the same with any diet change, this is not specific to dry kibble to raw food. This article is in no way advising our readers on the best diet for their dog, this is simply stating the facts from previous studies in an easy to read way so our readers can make an informed decision themselves. If you are in any doubt about nutrition, health or any medical issues you should consult your veterinarian for animal related questions, or your doctor for human related questions, as soon as possible. To some this would make sense, feeding a diet to mimic that of their ancestors to a dog who has very minimal connections to that ancestor. But when you break down this myth and really think about it, you will find out that actually how could anyone think this is true? Toy and small breeds of dog have very small mouths, but unfortunately have the same amount of teeth as a large breed dog. This causes the teeth to be out of shape and squashed into a small area. With so many crevices and corners within the mouth area, this creates a breeding ground for bacteria. Bones are very good at getting into those tight spots and cleaning the teeth rather than harvesting bacteria. It is very important that bones are fed raw, this minimizes the risk of the bone splintering and causing health problems such as choking, or a puncture in the digestive tract. It is also very important to get the right sized bone. Bones which are too small can pose a higher risk of choking if not chewed correctly, Bones which are too big can pose some serious problems for your dog whilst trying to gobble it down. 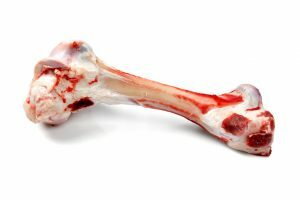 For more information you can contact your veterinarian for more advice on what sized bones you should be giving your dog. In the eyes of a dog owner, cost and convenience should come after your dog’s welfare. If you believe the raw diet will provide more nutrients and will serve your dog better than it’s current diet then you should not consider the cost or the convenience. Bear in mind that most baked dry kibble has many fillers in which go straight through your dog out the other end, so half of what you pay for ends up coming out the other end with little to no effect on your pooch. The key to a healthy dog is a healthy diet, this doesn’t have to be the raw diet, but definitely one of a higher quality. The raw food diet can be as expensive as you make it, as well as how inconvenient as you make it. 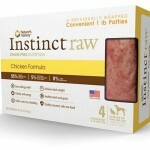 You can buy many freeze dried raw diets these days at your local premium pet food store, simple and easy. If you want to know exactly what your dog eats this will take a few conversations with your veterinarian and a lot of research on what your dog needs, including any health problems your dog’s breed is prone to etc. Yes it will take up more time than your standard dry food, but if you are smart with it and pre-make every meal and stick it in the freezer all you need to do is take it out of the freezer in the morning and evening ready for the next meal. Defrosting is not essential but depending on your dog it could be a good idea. For example senior dogs, or dogs with dental issues. There are many things you can do to benefit your wallet whilst feeding the raw diet, including, buying meat in bulk, as said above pre-make all the meals before hand using zip lock bags to avoid any waste, keep an eye out for any promotions on meat at your supermarket. This might include meat that has 1 day left on the SELL BY DATE, not — USE BY DATE. The sell by date is only the date the supermarket is allowed to sell it till, it will still be good for human use, therefore good enough for your four legged friend. MYTH #3 – MY DOG IS NOT A WOLF! Aesthetically, yes dogs do not look like wolves anymore, apart from a few breeds. Anatomically they are more similar than you may think. We have been feeding domesticated dogs, processed food filled with stuff that they can’t digest for a very long time now, this has had an affect on their digestive and immune systems, but the effect is not permanent. Just like humans, if we ate processed foods for a long time and then we suddenly switch to an all natural diet, we may not adjust as quickly. But with the correct introduction your dog’s digestive system will soon come up to par. Processed dog food contains a lot of fillers, which are usually plant based, such as grain. It takes different enzymes to digest starch (grains) then it does to digest meat (protein). The dog’s digestive system classes processed meat within the dry kibble as a starch instead of a protein so digests it different than actual bits of meat. The fact the protein digesting enzymes have not been in action for a while does not mean the enzymes are not present. If we take a look at a dog’s anatomy, you can see that it is designed to eat meat, so feeding a grain based processed food is actually a lot harder than the digestion of meat. Raw meat does definitely contain bacteria such as salmonella. These can harm your dog, which is why you need to be sure your dog’s immune system is up to par. If your dog is healthy and has no underlying health issues, your dog should be more than equipped to deal with these bacterias. For example the saliva of a dog is antibacterial, hence why they lick their wounds and more often than not try to lick yours! Dog’s digest meat in an acid bath within their stomach. Stomach acid is very very strong, so strong that bacteria cannot survive it, providing your dog and their digestive system is healthy. 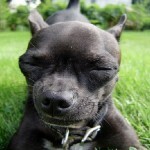 Dog’s can pass bacteria through their feces, this is very true. Sometimes you may not even notice a change in your dog’s behavior, yet his body has passed a bacteria that would have most of us in an awful state. This proves how hardy their systems are and teaches us a very important lesson. If you are hygienic, and wash your hands after being in contact with poop, you shouldn’t contract anything which is passed. There have also been many cases of Salmonella from kibble fed dogs, so the problem cannot be pointed directly at raw fed diets. Your dog will not recognize it’s food is raw then all of a sudden become feral and uncontrollable. It’s kind of like saying if a vegetarian ate meat, they would turn into a cave man? Totally not believable. So rest assure the raw food diet can only do good things to your dog’s brain. A poor digestive system on the other hand, just like any other health issue can negatively affect the brain. Ask yourself a question, if you have had a poor diet over a week or two and you’re not feeling 100% does that show in your behavior? I believe it does. It is exactly the same with dogs. If they have a bit of a stomach ache from a bad diet they are more likely to exhibit bad behavior. Not necessarily aggressive behavior, but they might seem a little off. It depends on the dog. Any bone can cause a choking risk. In fact cooked bones pose more of a risk than raw bones. When a bone is cooked it makes the bone a lot more brittle. This causes the bone to splinter which can cause some severe problems if swallowed, as well as a choking risk. Feeding raw bones is quite healthy. First it makes feeding time a lot more work for your dog, this strengthens his jaw and enamel, and cleans the teeth of plaque. Not to mention the difference you will see in your dog’s breath! Remember you don’t have to feed a raw diet to feed your dog a raw bone, this can be a healthy treat for your dog. 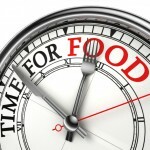 To Feed Or Not To Feed– Is It Really A Question? The diet of your dog is incredibly important to their health. Knowing more about how their body works can give you great insight into the life of your dog and what they want. There are pros and cons about every diet, just like there is pros and cons to pretty much everything in life, including our own diets. It is vital to get all the information you can about your dog and ensure your decision is based on their welfare, not your convenience. Your dog deserves the best you can give them, if the best for them is the raw diet then that is that. If the raw diet is what you have chosen it is key to remember that hygiene is a must. If you have small children around the house, it could be a good idea to keep them away from the feeding area until it has been cleaned thoroughly. If you are having trouble please contact your local veterinarian for more advice. Anna Smith resides in beautiful Santa Monica, CA, where she works as a Pet Nutrition Expert. She is responsible for nutritional strategies for different breeds and development of new products on the market in compliance with Association of American Feed Control Officials. Anna’s passions are education about proven methods and best practices in the industry and her dog Max, who is always well-fed. Ask an expert: What’s Really Causing Those Hot Spots and Itchy Skin?